The new year could bring about some changes to various state workers’ compensation programs. Instead of treating injured employees like claimants, they will be treated to a more customer-oriented experience to help them deal with their injuries as a whole. Injured employees can expect to receive better care tailored to their individual injuries, resulting in better outcomes. There are trends that various states will be looking at in the coming months to help injured workers get the care they need. Look for the following changes to occur in 2019. Healthcare is still a much-debated topic and, as such, the Affordable Care Act is under court scrutiny. Medicare programs will be expanding in many states to ensure that low-income households have access to care in the event of a workplace injury. The focus will be on lowering prescription costs, with many medications out of the price range of many. Value-based care will also be a focus this year. This is partly due to politics, with many states electing new governors. The elections mean new legislators and new laws. Instead of using a one-size-fits-all approach, claimants can expect to experience a more personalized approach as they recover from their injury. Permanent impairment ratings will be a topic of discussion. There will be more focus on the social aspects of workplace injuries. Treatment of an injury involves much more than medication. Transportation, housing and employment are common concerns, as well as loneliness. As a result, many workers’ compensation programs are considering benefits such as meal delivery and caregiver services for injured employees. Pain will be examined at a higher level. Researchers will be looking at how pain affects a person not just physically, but emotionally and socially as well. Many employers will be introducing pain philosophy, which will include tools and experts to address the issue of pain and keep it under control. Employee health models will be available with employer-purchased health care plans. Employers can help employees manage their costs, helping them save money. Employers will be focusing on other issues as well. With marijuana legal in many states, impairment caused by marijuana will be a focus for many companies. Disaster planning and mega claims will also be topics of focus in 2019. Trends are always changing. With marijuana use becoming more prominent and opioid addiction on the rise, states need to think about how to get these issues under control, particularly in the context of workplace injuries. These issues may appear when the injured employee is treating their injuries and can lead to workplace accidents happening in the first place. Expect to see some new laws this year. 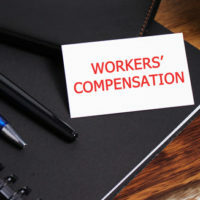 For help navigating the workers’ compensation claims process, seek help from the Law Office of Michael Lawrence Varon in White Plains.s this year. He can get your claim approved so you can obtain the benefits you deserve for your injury. Schedule a consultation today by calling (914) 228-1770 or filling out the online form.